In recent months I started working with a young self-publishing business, Australian eBook Publisher. In my time there I have not been limited to editing, but have also been involved in website development and maintenance, marketing, social media, brand development, graphic design and more. Despite all of my new responsibilities as a Publishing Assistant, I always fall back to my first love, editing. It has been exciting to be involved in the creation of many books. Each author is so very different and my interactions with them are the same. Some authors having been sitting on their manuscript for years and are perfectly happy to surrender it to me for a while. For others their manuscript is like a child, to send it off with a stranger they barely know is almost sin. I encourage and I listen and I am always patient. It is important to remember each author as I edit because what they have written is in their voice. And one of the cardinal rules of being an editor is to keep the author’s voice intact. Of course there are times when an author’s writing is nearly perfect and I only have to adjust the use of semi colons or replace a hyphen with a dash. However, usually my work is more in depth and I look at each individual sentence as a whole, then word by word. I am excited to see the books I have worked on finally published into the big bad world. I find I become as precious of the books as the authors. I’ve worked on them, I know the hard work involved and I just want to see them succeed. While I work primarily at AEP I do take on freelance jobs when required. 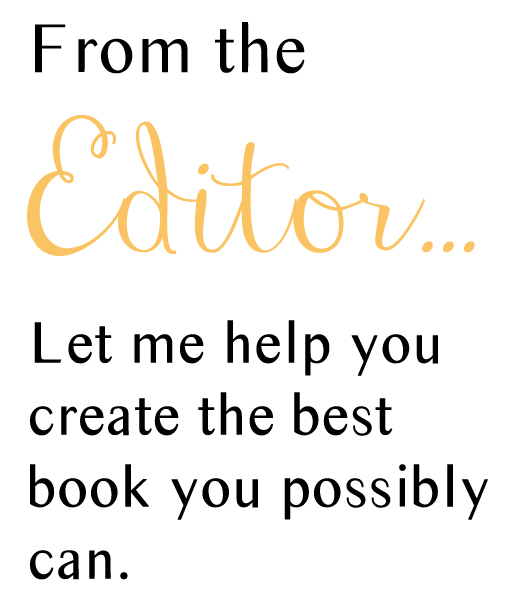 If you want me to help you make your child a fully functional adult ready to take on the world – and by that I mean take your manuscript and help you make it grow into a beautiful piece of writing – head to my contact page and tell me about it.